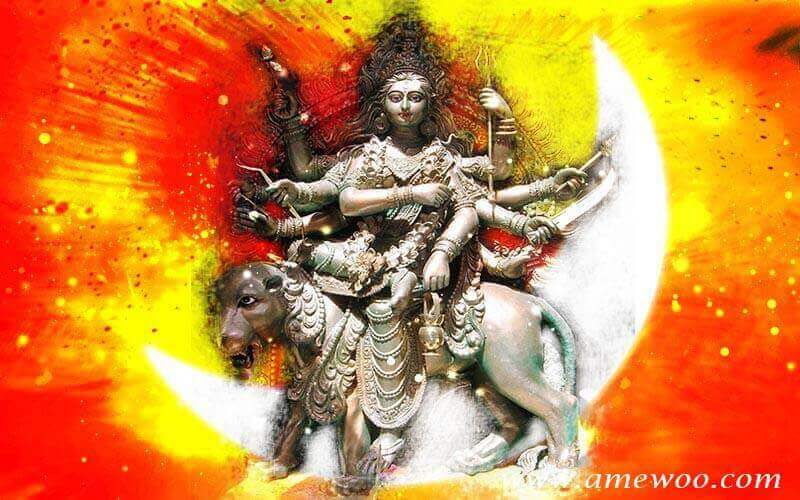 On Tritiya that is the third day of Navaratri Goddess Chandraghanta is worshipped. In this avatar of Parvati called Chandraghanta it is said that after marrying to god Shiva, Goddess Parvati had decorated and made even more beautiful the forehead of Shiva having half-Chandra on his forehead. From this only the word Chandraghanta came into existence. This avatar of Parvati symbolizes the bravery and the beauty. On this day the color of the sky is yellow.